LISTA DE COSAS PARA EL PASEO. -Mochila portabebé Youmi de Safety. -Silla de coche Milofix total black de Bebe Confort. -Colección cupcake de Pasito a Pasito: Bolsa panera, neceser, funda de toallitas, portabiberón, portachupete y cambiador. CUPCAKE TOILETRY MINI CHANGE BAG PASITO A PASITO. Cupcake toiletry mini change bag in patent leather with Pasito a Pasito logo. 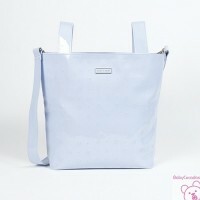 This cute bag is perfect for carrying babies nappy creams and other essentials. It is also great if you are out and about and want to change baby quickly as fits a nappy, wipes and cream. Dimensions: 28x17,5x5,5 cm. CUPCAKE CHANGING MAT PASITO A PASITO. Cupcake Changing mat for a baby. Machine washable at 30 degrees. Medidas: 65x34,5 cm. SACO SILLA UNIVERSAL POLAR PIRULOS Saco de silla universal, lo que le hace compatible con cualquier silla de paseo. El saco cuenta con un tejido transpirable y cremallera central para facilitar la colocación del bebé. CUPCAKE BOTTLE COVER PASITO A PASITO. Cupcake Bottlecover in patent leather with Pasito a Pasito logo. This bottle holder clips unto a push chair, car seat or changing bag perfect for quick access when baby needs their bottle. Machine washable at 30 degrees. Dimensions: 8,5x22,5x8,5 cm. CUPCAKE BABY WIPE HOLDER PASITO A PASITO. Cupcake Baby Wipe Holder patent leather with Pasito a Pasito logo. 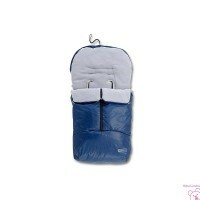 Machine washable and with a velcro fastening, the wipes sit snugly inside the inner pocket to keep them protected. it's machine washableat 30 degrees. One packet of wipes included Dimensions: 20x2x11,5 cm.